This gallery contains some of my older favorite images or an image that brings back fond memories of that day and that particular place. If we could only go back in time to experience that moment again but in a way that is what photography is all about. 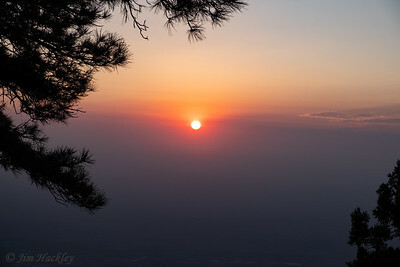 The sunrise view from my campsite on the rim of the Mingus mountains. 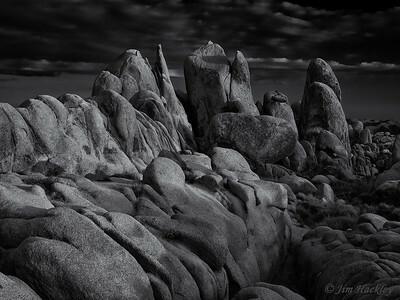 I like to hike Joshua Tree granite formations in the fading light as you never know what kind of scene will come up. 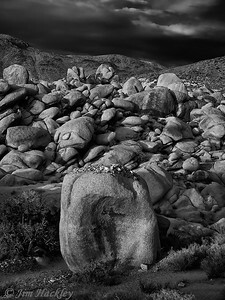 Joshua Tree NP granite boulders can take on many shapes but it was interesting to see a small pile of pebbles within this large pile of boulders. 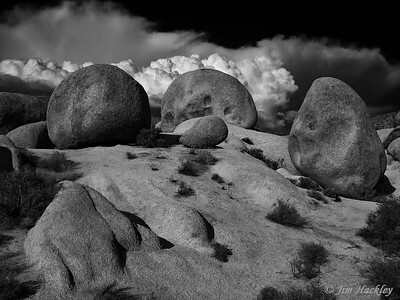 I was hiking between two ridges when I came into this valley full of large boulders. 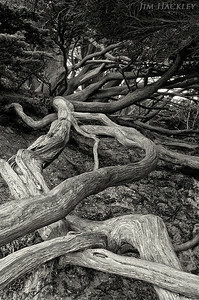 Walking down to a beach in Big Sur we found these wonderful cypress trees and their long roots digging into the sand dunes. 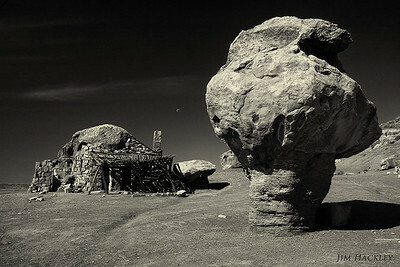 This old stone house built around a large boulder reminded me of a sci-fi movie where someone has crashed landed and was surviving as best they could on a harsh planet.